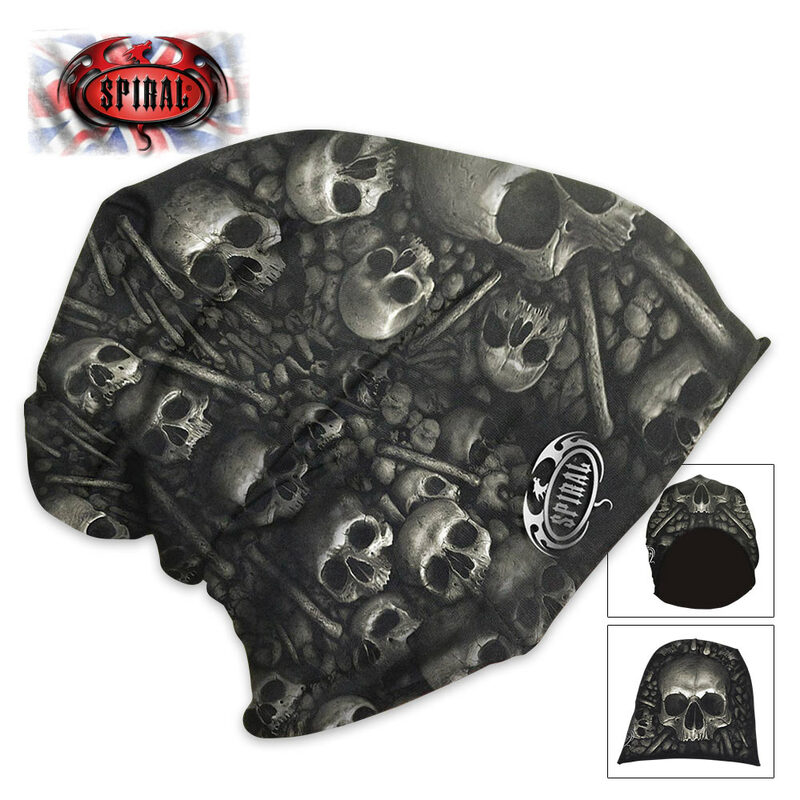 Dark and creepy, a pile of skulls entwined with bones constructing the walls of a tomb is what gives this black beanie its uniqueness. 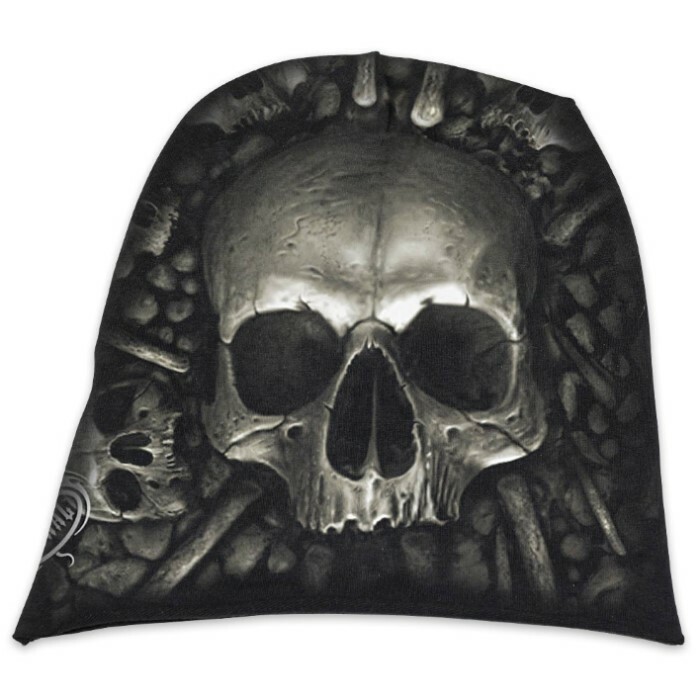 When you wear this incredibly artistic hat with its awesome depiction of a skeletal tomb, people will double-take as you walk by. It features vivid original artwork and is made of high quality cotton jersey. I ordered this for my 12 year old son. While it says one size fits all, it's pretty big for his head. Hopefully he will grow in to it.